From "The Winning Golf Swing"
Face angle simply refers to the direction that the club face is pointing at the moment of impact relative to the target line. 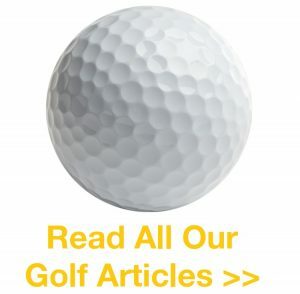 We must remember that the golf ball is on the club face for less than 1/2000th of a second. The exact point of the collision that will have the greatest influence on the direction of the ball is the mid-point of the collision (the point of maximum compression). Face angle relative to the target line. In general, the face angle has four times more influence on the start direction of the golf ball than the club path does. 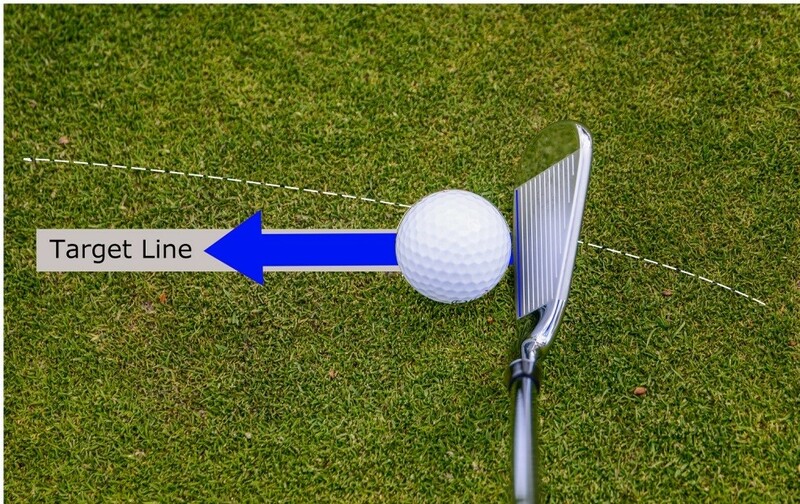 Club path is the horizontal direction that the club head is travelling during the collision. The part of the club head that a TrackMan radar will measure here is the centre of gravity of the club head. Imagine a chalk line running along the ground from behind the ball, through the centre of the ball, and straight towards the target (we’ll call this the target line). 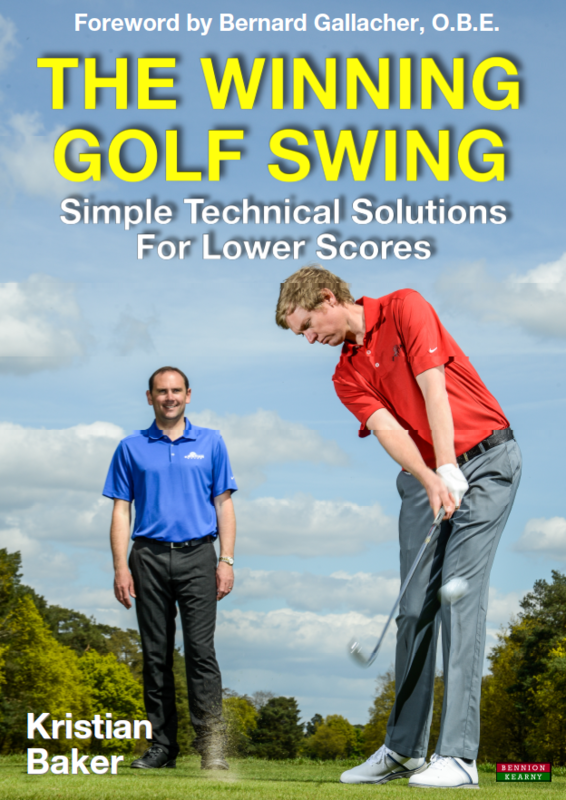 We refer to the club’s path at impact as either swinging towards the target (i.e. straight down this line), swinging from inside to out, or outside to inside, of this line. With a TrackMan radar, we can accurately measure the direction the club head is travelling in degrees through this impact zone. For example, and as a very general rule of thumb, if we want to hit a straight shot, the club path will be neutral (swinging along the chalk target line) through impact, with the club face pointing at the target. 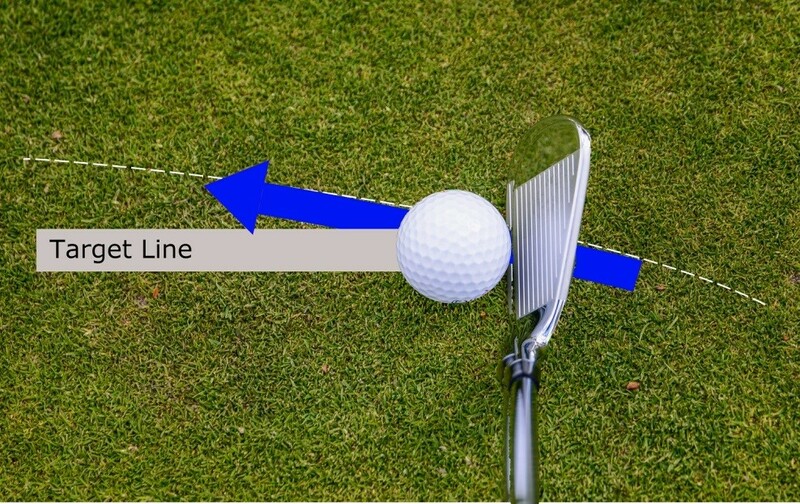 A ‘classic method’ for hitting a draw (curving from right to left, for a right-handed player), on the other hand, would see the path being from inside the line on the ground to outside. For a fade (curving from left to right, for a right-handed player), it would be from the outside of the line to inside. For both the fade and draw, the face will be pointing midway between the path line and target line. Hitting a draw; the club path from in-to-out of the target line.